The Annum wooden frame is the product of many past experiences of working with wood, as well as a well thought out precise planning. There are four stages in the making of an Annum bike. Drawing the frame and selecting wood. The first stage includes a computer drawing of the frame in 3D perspective, selecting and preparing of suitable wood (planing and sawing of wood into bars), followed by the gluing of bars into layers. During the second stage the sawed wooden bars are glued into layers to achieve greater firmness of wood and consequently the frame. The planks made in this way are ready to be remade into parts of the frame. 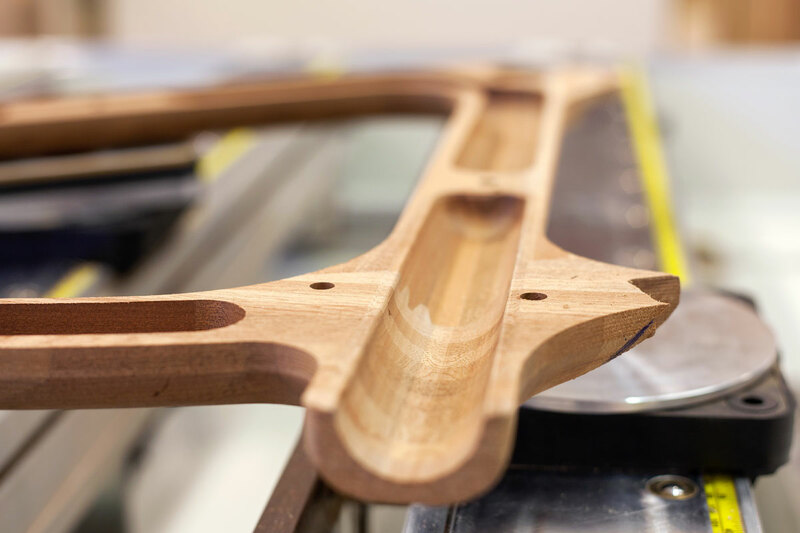 The second stage is followed by joining together the basic wooden frame triangle and its processing on the CNC machine to get the final form of the wooden frame. After that, we hand polish the frame in great detail. During the final stage we assemble the basic triangle of the frame with rear forks and then lacquer the frame with polyurethane lacquer. This helps protect the frame from external influences (rain, sun, moisture…). 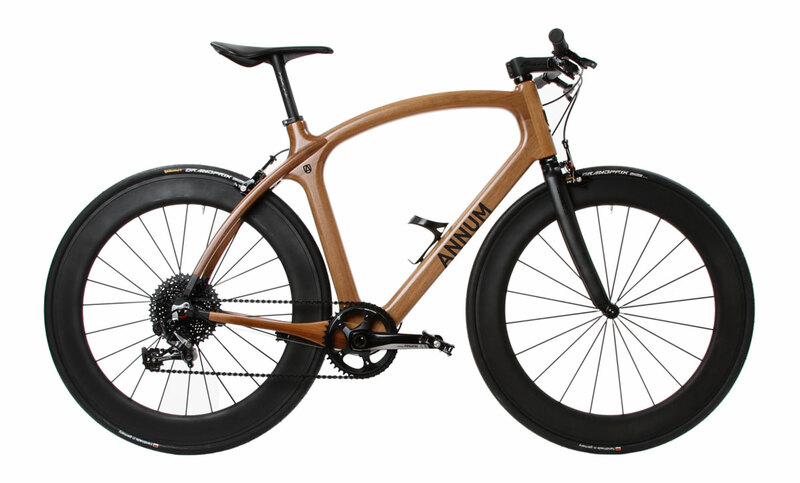 The weight of the Annum bicycle frame depends on the type of wood used (from the heaviest ash to maple, walnut, mahogany, cherry…). The weight of the frame made from walnut is approximately 2 kg. 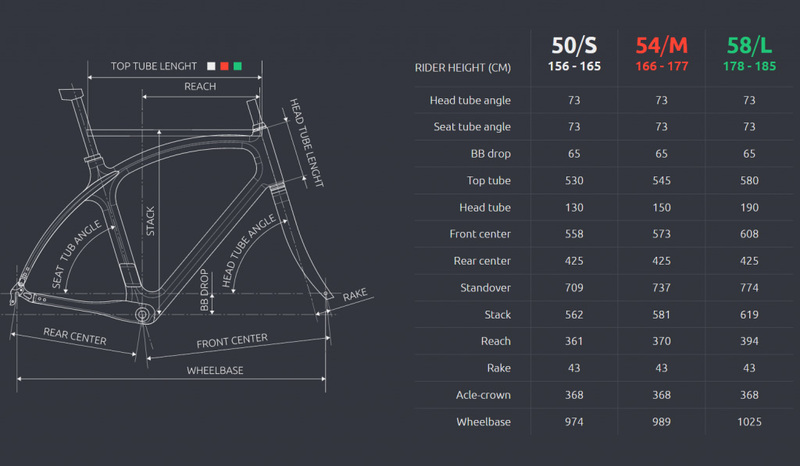 Dimensions of the Annum bicycle frame are adapted to suit the widest possible amount of users. Every Annum bicycle can be specially customized for each customer, therefore the size can be optimized on request. Every Annum Bicycle can be specially customized for each customer. In these scheme are listed the most frequently used components. Copyright © 2018 - 2019 ANNUM BICYCLES, all rights reserved!